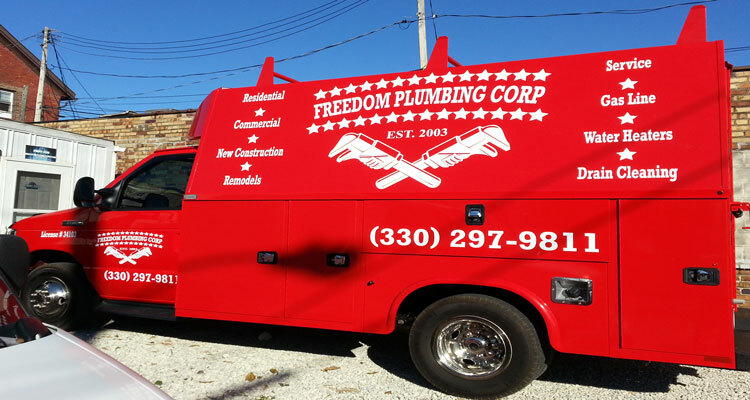 VEHICLE GRAPHICS Our state of the art equipment produces beautiful full color decals and stickers for trucks, cars, boats, trailers, and vehicle wraps. 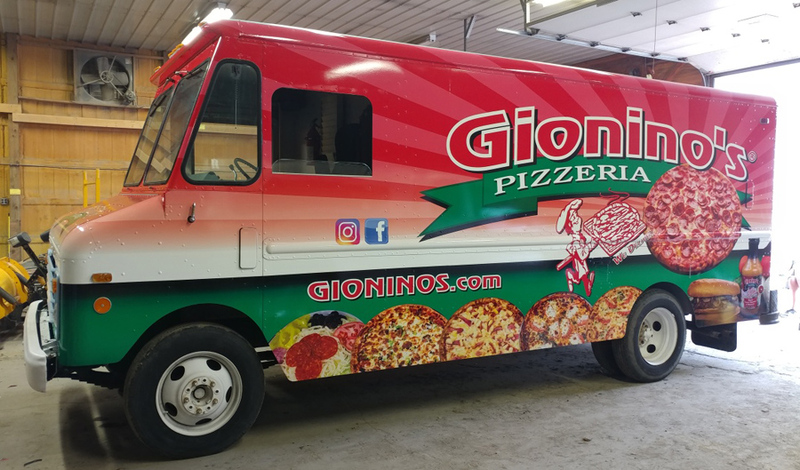 Vinyl lettering, decals, and stickers can be applied on, cars,, trucks, boats, trailers, storefront windows, race cars, motorcycles and much more. 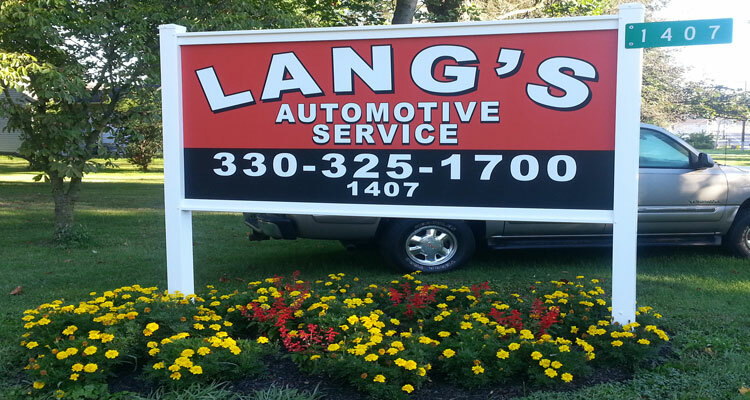 SIGNS We make custom signs using a variety of different materials or substrates as known in the sign industry. Below is a list of just some of the materials and types of signs we make and a description of how they could help with your next project. 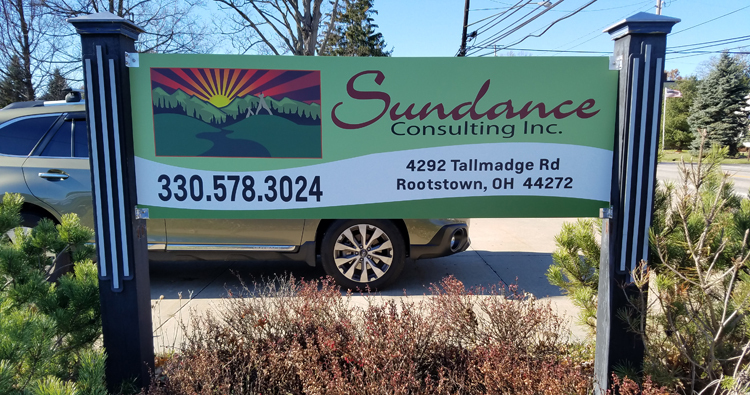 We would be more than happy to meet with you at your location or Print & Sign Express located in Ravenna, Oh. 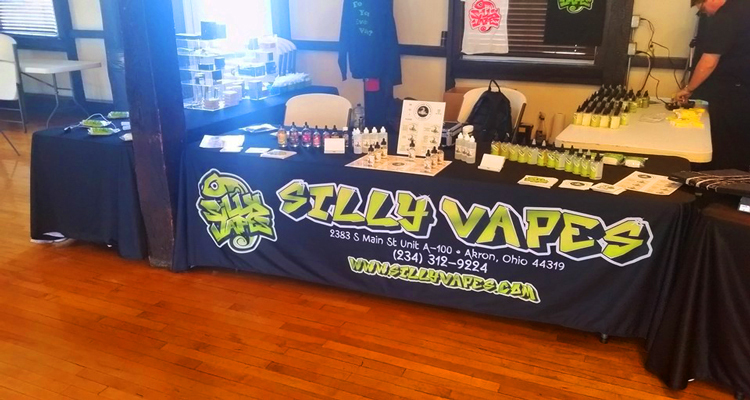 We also offer free pick up and delivery to many locations in NE Ohio. Some of these areas include: Akron, Canton, Ravenna, Kent, Stow, Streetsboro, Rootstown, Aurora, Twinsburg, Mogadore and More! BANNERS Our vinyl banners are a highly effective advertising tool and are proven to turn heads and drive more traffic. We have two large format Eco solvent printers onsite to handle all of your Banner Printing needs. 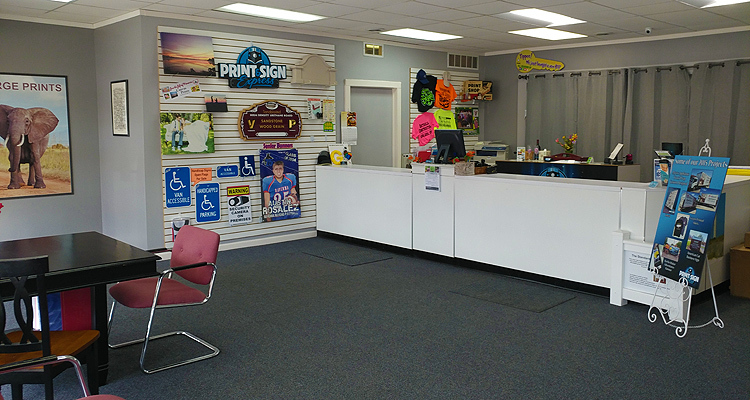 We print in Full color which allows you to include photos, logos and unlimited designs. We make banners to fit any budget and use only the highest quality vinyl and fade resistant inks. Our banners are weather proof and can be displayed outdoors or indoors. Banners include hem and grommets every 2-3 feet. 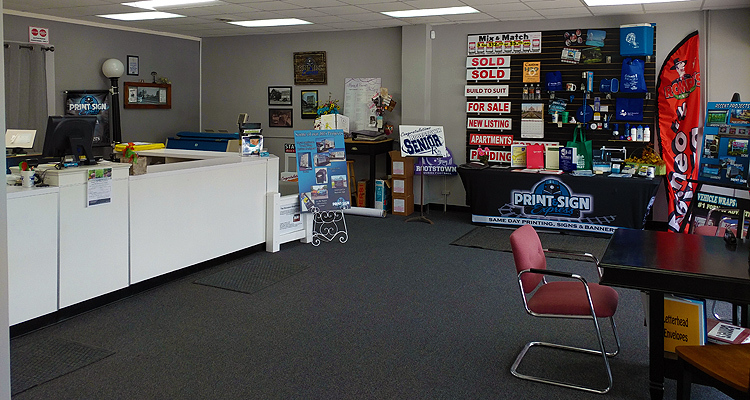 Printing at our location allows for extremely fast completion of your banner needs. APPAREL Printing custom t shirts is a cost effective way to publicize your business, charity, club, group, band or event. You can choose from sweatshirts, hoodies, sweat pants, hats and many other items. If you need help with your design we offer free custom artwork, please give us a call for more details.We have the capabilities to fill your orders whether small or large. We have the professional equipment to deliver quality for your shirts, jackets, hats, wind shirts and more! PROMOTIONAL With thousands of ASI promotional items available, we are the place to come to for special events, promoting your business, fund raisers, booster clubs and for many others. COPY & PRINT Our reproduction options allow us to print from your computer files or from hard copies. Text, photos, halftones and screens are no problem. We can crop, enlarge, shrink, shade, stretch, rotate or reverse your graphic elements easily. Last minute changes are no problem because it’s all done with a click of a mouse or touch of a button. Like many jobs that come through our print shop, litigation jobs demand speed and precision. They also require complete confidentiality on the part of our employees. We understand that no amount of speed and accuracy on our part can make up for a breach of confidence. That is why we will never compromise our commitment to maintaining confidentiality.